#TeamSunset beat out #TeamRainbow with 77% of the vote! In honor of #TeamSunset, I’m making a limited amount (10) of canvas prints featuring Sunset of Fire available at a discount for 5 days only (until 11:59pm on January 28th)! 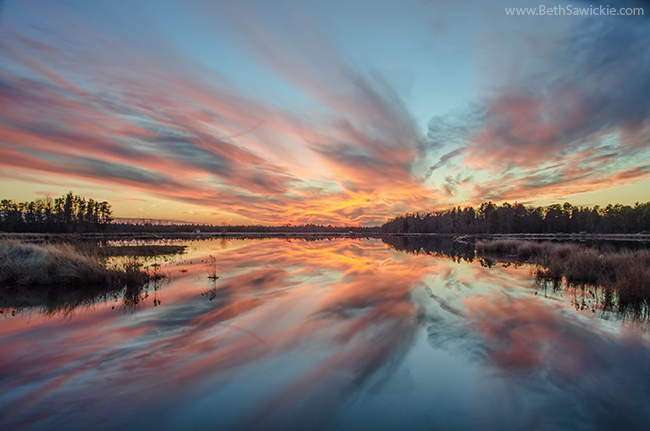 Purchase a 50.00″ x 40.00″ stretched canvas print of Beth Sawickie’s Sunset of Fire for the promotional price of $150 and only 10 available at this special price! – Click here to get YOUR canvas NOW! A large storm was rolling through during June and I knew it could leave us with a beautiful rainbow. Before Mother Nature was done rumblin’, I grabbed my camera and headed over to a nearby lake looking for the color in the sky after the storm. 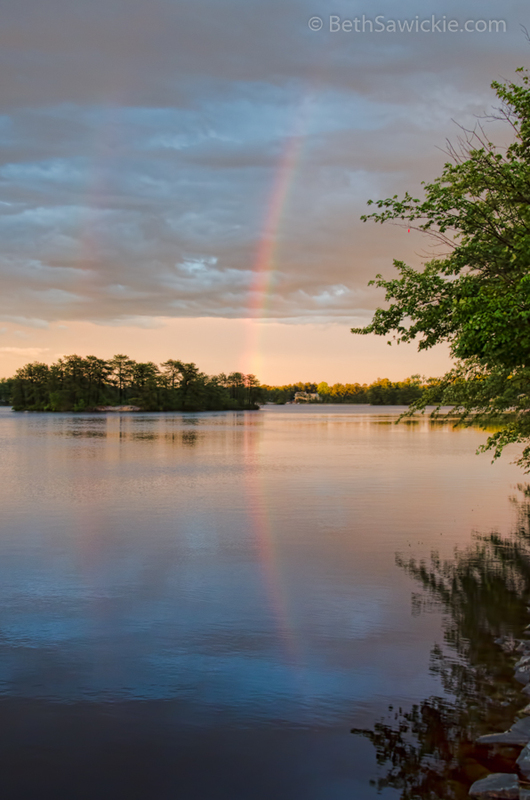 There’s actually a double rainbow in this nature photo. It’s faint and to the left of the main one. I witnessed this stunning sunset at Whitesbog Village (part of Brendan T. Byrne State Forest in NJ) on a December evening. Winter is often a great time to see beautiful color in the sky and this night did not disappoint! The skies here in the NJ Pinelands can be truly amazing – especially in areas of big sky like at Whitesbog.